Writing down your passwords is dumb. 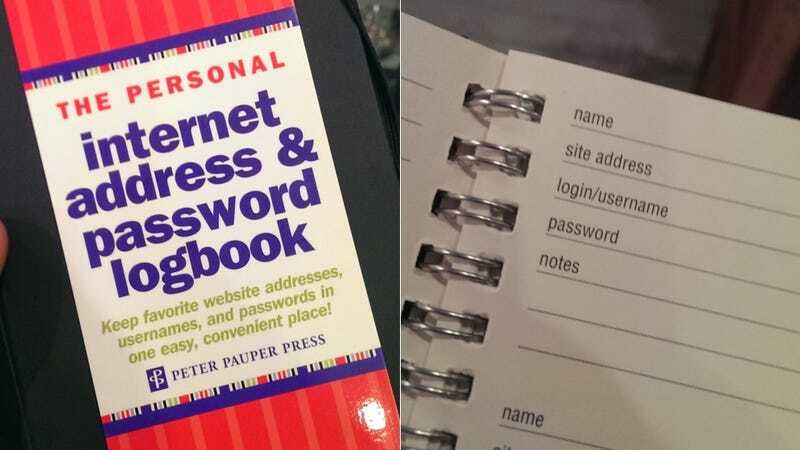 But buying a logbook specifically to write them down, in a single place, which announces to the world that it contains all of your passwords? That's even dumber.